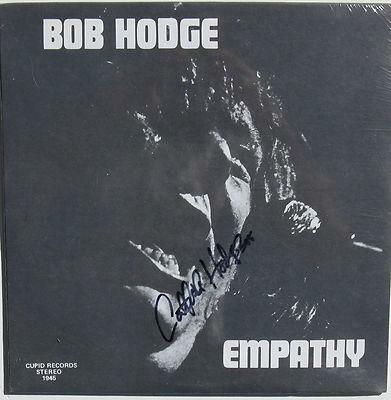 “Hodge possesses a voice that can be heard miles away but can get so low and ethereal you’ll swear he’s singing through you. Catfish has been called an “American folk blues hero” and has been a mainstay on the American Blues music scene for three decades now! He has twenty four albums to his credit, comprised almost totally of original material. “Catfish Blues” and “Like A Big Dog Barkin’” on the Wildcat label, and “Eyewitness Blues” on Genes CD were released in 1994 and 1995. His first album of children’s songs “Adventures at Catfish Pond”, on Music for Little People label was released in May of 1996. The album won the NAPA Golden Award as best children’s music of 1996. His 1998 release “Bare Necessities”(on Chicken Legs Music) finds him in a solo acoustic setting, with lowdown funky blues and soulful ballads. His 1999 release “Twenty Years” features performances from concerts and radio broadcast and includes the only version now available of “Boogie Man Gonna Git Ya”, as well as other rare gems. His 2002 release “Let’s Eat” is a best of collection of his best known food songs of which there are many! Both of his latest albums are available on Chicken Legs Music. 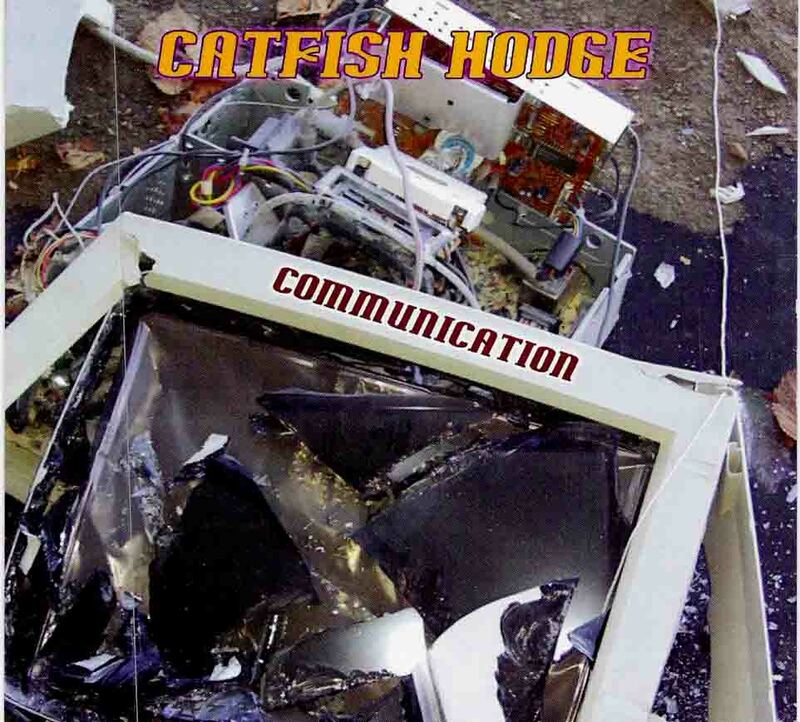 All of his albums prior to the 1990’s are hard to find except for the first Catfish Band album “Get Down”, which Sony/Epic re-released in the mid 1990’s, due to demand for it overseas. Catfish found his calling early on. While growing up in Detroit, he was sneaking into Motown Records Hitsville studio to catch the Four tops and the Supremes and grooving to R&B and Blues while his contemporaries gravitated to the Beatles. 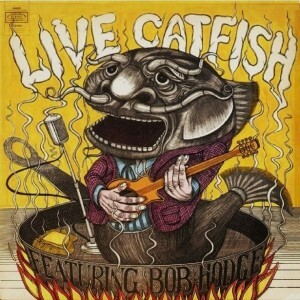 In the late 1960’s he formed the Catfish Band and led them out of Detroit into national prominence. By 1973 Catfish had settled into Washington, DC where he was packing them in at Desperado’s, Childe Harold and the Cellar Door with what the Washington City Paper describes as “his cheerfully muscular blues & amp; rockin’ boogie”. He made a few friends along the way too. He became a regular opener for Bonnie Raitt and Little Feat, who also started showing up on his recordings. 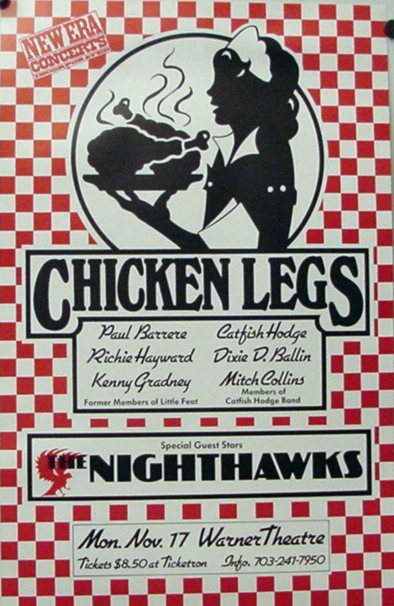 When he formed the Chicken Legs Band in 1981, he was joined by Little Feat’s Paul Barrere, Richie Hayward, Kenny Gradney and Sam Clayton. Their final tour hit twenty one cities and sold out every one. 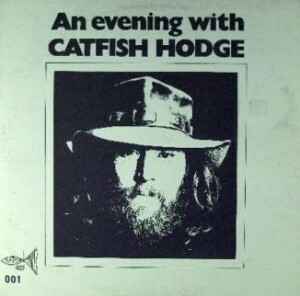 By 1982 Catfish had headed west to California where he lived for the next 17 years. 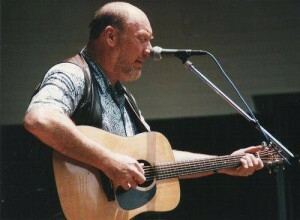 Along with Paul Barrere he formed the Bluesbusters in 1984. They recorded two albums for Landslide Records and toured for many years, until Little Feat was reformed in the late 1980’s. 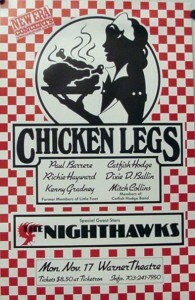 In 1999 Catfish founded the Hillbilly Funk Allstars with T Lavitz, Richie Hayward, Kenny Gradney, and Vassar Clements. Their first tour was well received, with great turn outs, will they ever tour again? 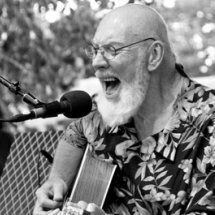 He continues to work solo acoustic and with his new electric band in the mid-atlantic area, as well as festivals around the globe. 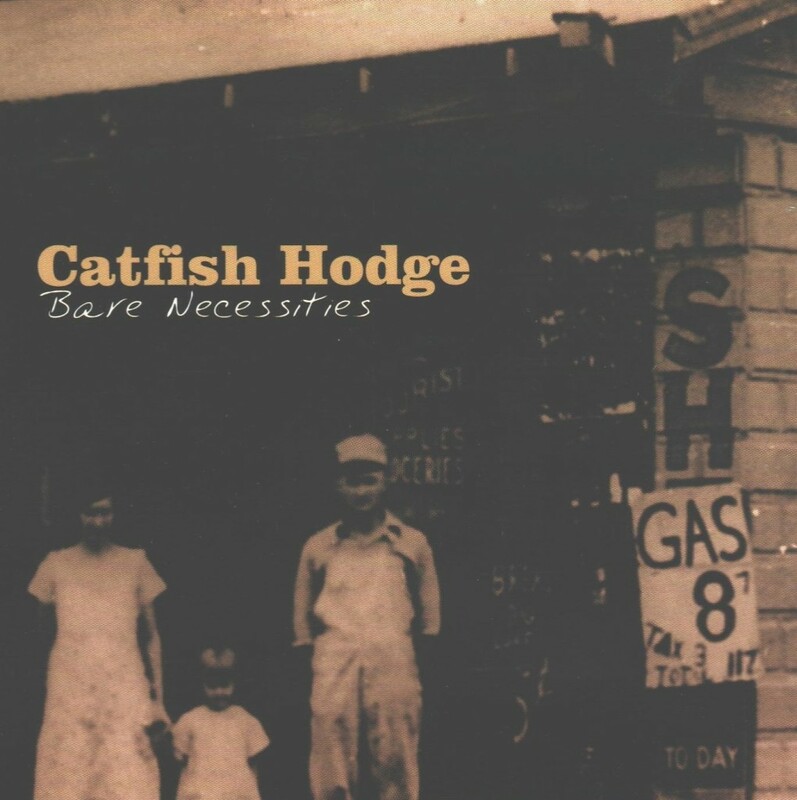 Today Catfish Hodge lives in the blues mega city of Chicago. After thirty five years on the road and twenty four albums having been released, he is still electrifying music fans with his powerful and spiritual style of original music! What the Press are saying about Catfish Hodge!